Recently, there has been a litany of drama, both professionally and personally, that has overwhelmed the life of popular TV show host and reporter, Bill O’Reilly. Because of this, a lot of light has not only shone on him, but also on his entire family which has gone through some tumultuous times. While there is much that is known about the former Fox News Channel man and his wife, Maureen E. McPhilmy, there is not much that is known about his daughter, Madeline O’Reilly, even though she has also been in the news a little. Here is all there is to know about her. 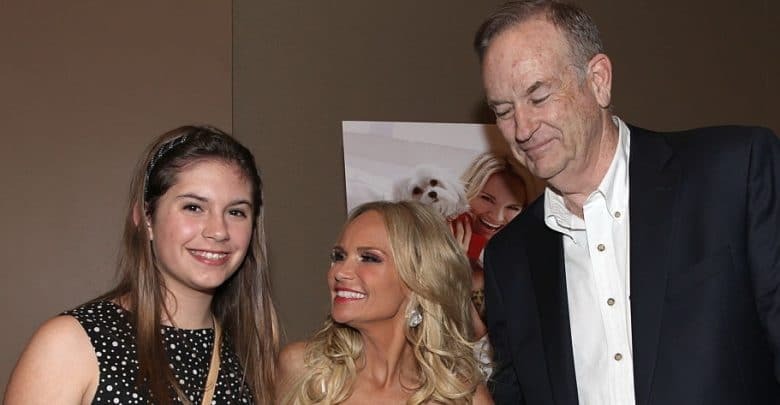 Madeline O’Reilly was born in 1996 in the United States, as the first daughter of Bill O’Reilly and Maureen E. McPhilmy. For the next seven years, she remained as the only child of the couple. However, in 2003, she had a brother, Spenser O’Reilley, who was also born to her parents. Even before the birth of her brother, Madeline had always remained outside of public life. With the birth of her brother, nothing changed as the kids were continuously raised away from the eyes of the public. Because of this, personal information about her, as well as details about her education and other things, are not available in the public domain. Everything seemed to be normal with her family until 2010 when her parent’s marriage began to fail. The marriage went on to end in an unpleasant divorce that was filled with hate, accusations, and counter-accusations. Reports showed that her father accused her mother of being an adulterer even though he didn’t state whether he had ever caught her cheating on him. What was more, was that the TV anchor told his daughter that her mother was an adulterer even before the divorce. Madeline O’Reilly later revealed to the court when the divorce case between her parents was going on that she watched her father pull her mother downstairs by the hair. She also revealed that whenever her father got angry, he would step out of the house in rage to go and hit trees. After the divorce was over, Bill and his former wife continued with a custody battle that would drag for a long time. At first, the two were given joined custody of the kids, but it was later reported that he lost custody of the children. In 2018, the two were still having various legal battles which have gone on for so many years. In 1992, Bill whose career as a reporter had already taken a good shape, met a public relations executive named Maureen E. McPhilmy. The two dated for the next two years before getting married in New York in 1996 at the St. Brigid Parish of Westbury. Two years later, their union produced a daughter, Madeline O’Reilly. Madeline was raised in a pretty much very dedicated Catholic family, where both her parents practiced the faith. Following the very messy divorce of her parents, her father, Bill, contacted the Catholic Church seeking to have his ex-wife banned from receiving the Holy Communion. His reason was that she was a divorced woman who had remarried. More so, he claimed that she was telling the kids that what she did was all good in the eyes of God. However, the church only reprimanded her in writing. In a court transcript that was published by various media outlets, it was indicated that Madeline O’Reilly described her father as an absentee dad, something that was quite ironic to many people as Bill had always criticized failed parenting in the black community on his television show. As regards to her net worth, there is nothing that is known about that or even what she does for a living. What is known, however, is that Bill O’Reilly has a net worth that is estimated at $85 million. Described one time as the king of Cable News, Bill lost a lot of money through the years as a result of the many legal cases he has had to fight including that of sexual harassment.